It was always summer. The large brown tv with curved screen had the cricket on – Dennis Lillee and Colin Cowdrey sweltering at the Oval. The blue budgie chirped in its cage on a stand above us all. Granddad Bob sat in his armchair facing the TV in trousers, white shirt and braces, his string vest showing through. He always had this slightly stale smell about him – fags and a little sweat. Nana Murg sat facing him on the other side of the room, smoking. The room was a fug of blue cig drift. A lava lamp glowed orange lumps on the side table. Granddad had a hearing aid which didn’t seem to work that well. Nana would have to shout “BOB” to get his attention. This was a Liverpudlian space. She would say things like “Go to Bootle!” when she was telling someone off, and “that’ll come with the truck with square wheels” when she didn’t believe something. All this time, Mom was studying for a degree at Stafford Polytechnic. She used to cycle to Haughton with me on a little seat on the back (where Vic was, I don’t know). Granddad had an electric organ in their bedroom. He used to be the pub pianist - appreciative pints lining up on top of the piano as he sang and played away. In the backyard they had an aviary. Past an ancient motorbike, there was a fauvist spatter of birds behind a simple wood and chickenwire frame. I went inside a few times, finding myself amid many brightly coloured birds singing songs of home. One of the things Vic and I loved the most was when Granddad sat us on his lap. He used to sing and whistle at the same time – or rather, making an ominous low humming sound and whistle at the same time. Then he would crack our knuckles one by one as we screamed with laughter and trepidation. 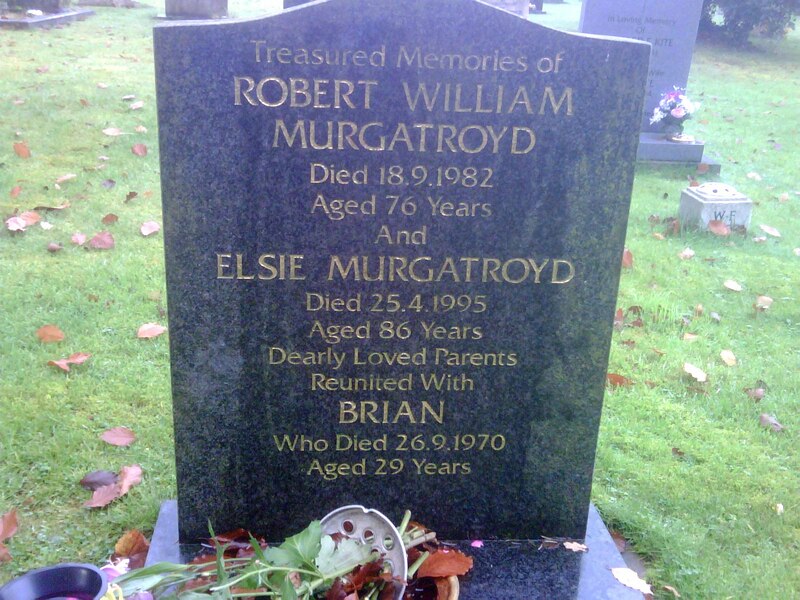 Granddad died in 1981 – he’d had a hard life of work. He used to tell us he’d painted the Liver Birds in Liverpool – and that he’d fallen off some scaffolding at one point. He’d also been a boxer – or maybe there was another reason why his nose had been flattened in. I remember him drunk (as was everyone else) at their 50th wedding anniversary in 1980 at our haunted house in Marston. Everyone was floating on a boat my Uncle Dave had left by the pond – or else they were in the pond, laughing and falling in again. Nana was probably glowering at him. Nana Murg lived on – until 1995. She had a bungalow by the canal in Weston, the other side of Stafford. I cycled to see her once down the viciously steep Weston Bank. For some reason, she was never that fond of me – always preferring Victoria. In a way, this was a good counter-balance to my Dad’s folks preferring me. I think I might have been a bit lippy once or twice when I was younger. I see her now, pulling on a ciggie, chatting to Mom about one of her children, a marriage or how somebody’s work was doing. Aunty Brenda and Uncle Dave lived across the road in a shrunken cottage full of things… but that’s another memory. A nice trip down memory lane. Well written Jeremy. Is this about your family?